Suggested by iKnowledge Both of these fighters make their debut in this round, but only one can walk away a victor. Siri is a talented Jedi whose skills were quite formidable. Unfortunately, she died before getting to really do all that much. 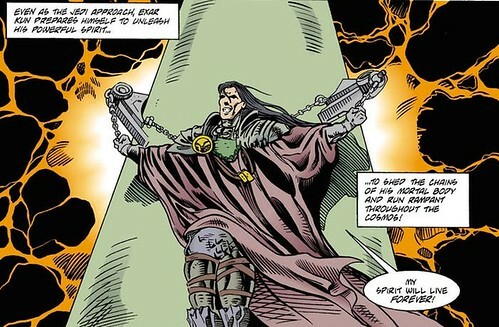 Meanwhile, Exar was an exceptional Jedi who turned evil and became an incredibly powerful Sith Lord. Essentially, his character arc went in the same direction as Darth Vader’s did back in the day. While they are both skilled, they are in different leagues here and Siri will not be able to stand up to Exar’s relentless attacks. Exar Kun wins. This entry was posted in Battles, Exar Kun Battles, Siri Tachi Battles and tagged Exar Kun, Siri Tachi by dreager1. Bookmark the permalink. Thanks for posting this battle. I think that the truth may never be known, simply by reason that Exar Kun had yet to stir his trapped spirit in the Yavin 4 temple while Siri was active and alive. 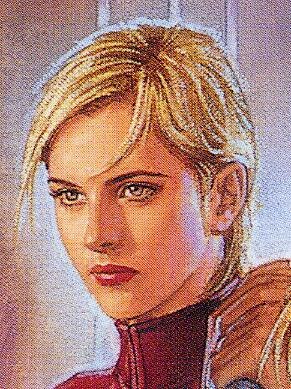 Speaking of Siri, even if I’ve made my peace with the writers of the Clone Wars CGI Series, I think they missed an opportunity not putting her in there. You had a lot of source material already published by the time the series came out, and the writers should have adapted that stuff instead of creating it out of new cloth. Also, I think bringing Darth Maul back was a big mistake.